Thanks to my friend Emma of Emmakwall.com for suggesting this movie to me. I don’t think I would have ever known about it without her amazing review. Check out her thoughts on this movie here. Brief Synopsis – When a new youth is sent to a British Borstal and tries to shake things up, things only seem to keep getting worse. My Take on it – This is a movie that I had never heard of until very recently and based solely on the premise, I wasn’t sure I’d enjoy it. 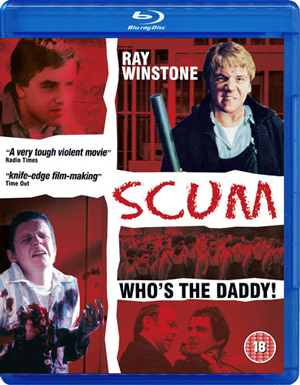 Truth is that this is not a movie anyone can “enjoy” per se, because it depicts the very brutal conditions imposed upon criminal youths in the British penal system of the 1970’s. This movie shows us many aspects of life for these young men and if this really was what happened, it doesn’t surprise me in the least why this movie was banned in so many countries for so many years. The thing I liked the most about this movie was that it didn’t try to present either the guards or the wards as evil, or good for that matter, they just showed how even behind bars and walls, you sometimes can’t tell who is scum, since both sides feel “forced” to do despicable acts to try to “beat” the other side first. Bottom Line – Enjoyed the way this movie tries to show how both sides are changed when faced with choices while in the Borstal. Very brutal in its depiction of life in these youth “prisons” and this movie was banned in numerous countries for years because of it. Recommended! So glad you enjoyed the movie, great review too!